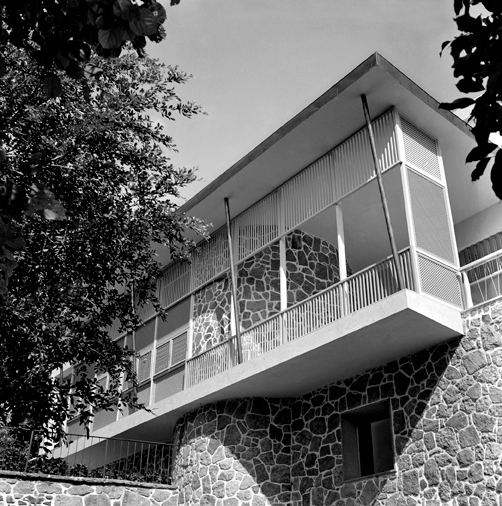 Brazilian mid century modern architect Olavo Redig de Campos with his 'Casa Moreira Salles' in 1951, an early example of Brazilian mid-century modern architecture..
Olavo Redig de Campos 'Casa Moreira Salles' Rio de Janeiro, pictured in the early 1950s. We love Brazil's tropical modernism; the beauty of modern architecture combined with tropical vegetation (preferably by Roberto Burle Marx) never fails to deliver. 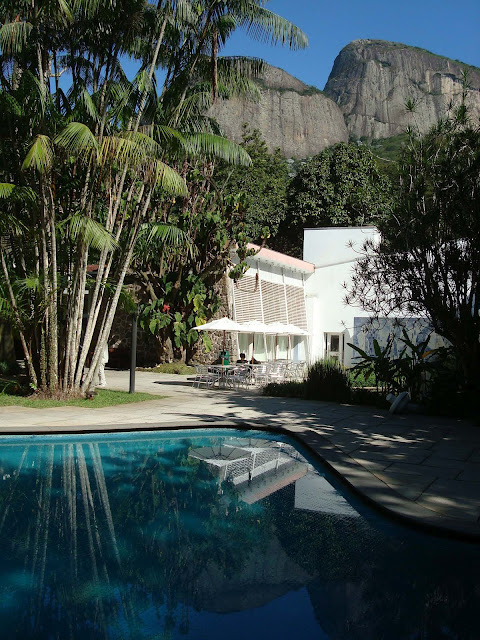 So we are super duper happy to feature this hidden gem, constructed halfway up a steep hill full of striking villas, in the middle of (what once was) the Brazilian rainforest. This house is unquestionably one of the better examples of Brazilian mid century modern architecture. 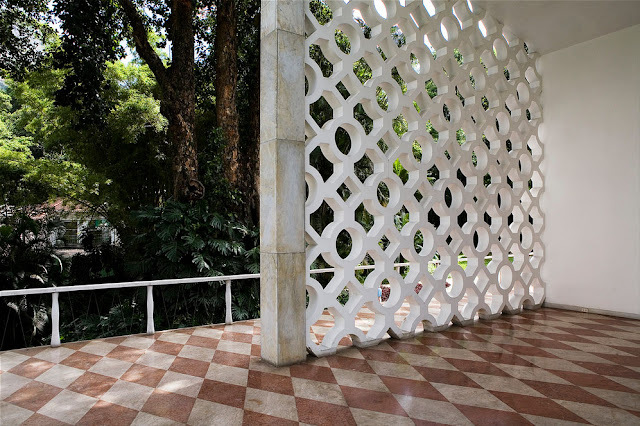 The 'Casa Moreira Salles' was designed by Brazilian architect Olavo Redig de Campos in 1947-1948 and was built between 1948-1951. 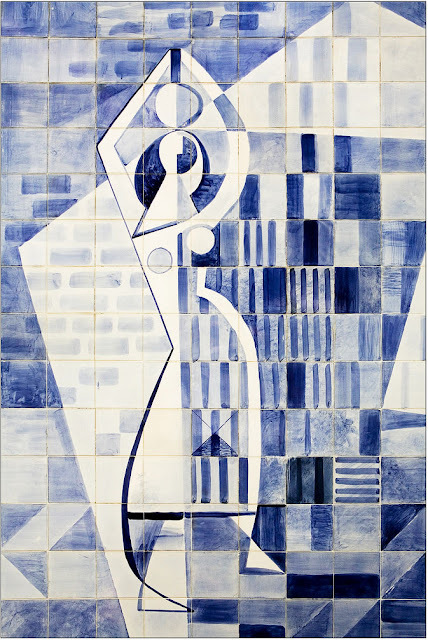 Sixty years later, Olavo Redig de Campos appears to be completely forgotten (except for a few die-hard Brazilian modernists) and he remains totally unknown outside Brazil. Other Brazilian architects like Oscar Niemeyer received plenty of press but Olavo Redig de Campos's work seems to have been lost into oblivion, at least for the most part. We strongly feel that this talented gentleman deserves a closer second look. 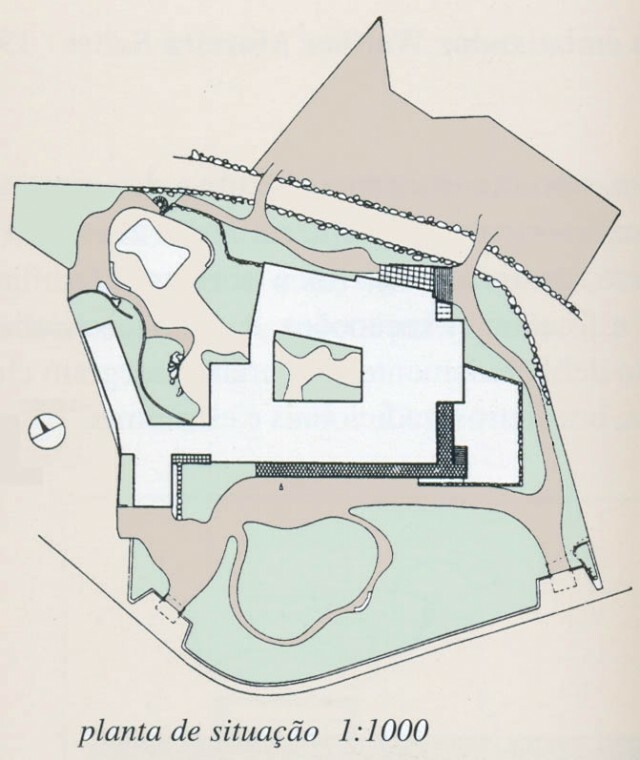 Olavo Redig de Campos was one of the founding fathers of Brazil's modern architectural movement during the 1940's and 1950s. Olavo Redig de Campos, son of a Brazilian diplomat, was born in Rio de Janeiro, but lived in Europe during most of his childhood. 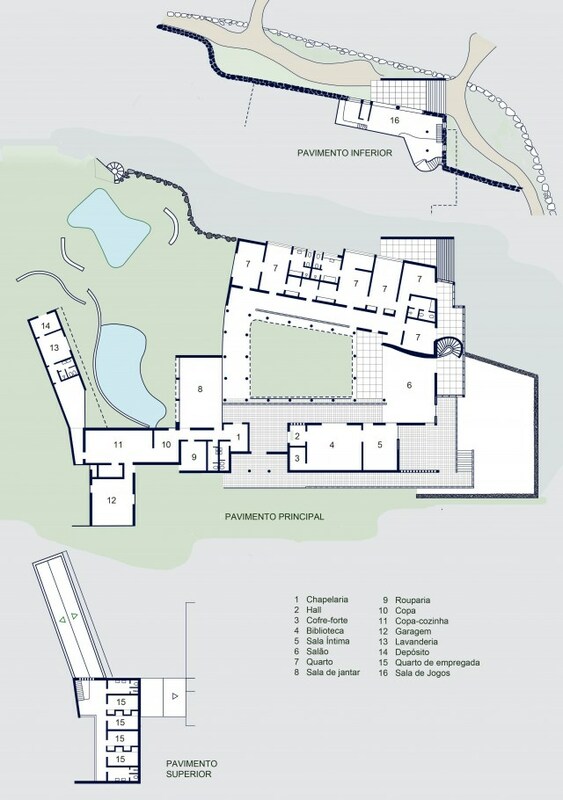 He graduated in architecture at the University of Rome, where he studied with architects Gregori Warchavchik and Rino Levi. His architectural style clearly evokes the style of late 1940's and early 1950's Italian modern architecture. 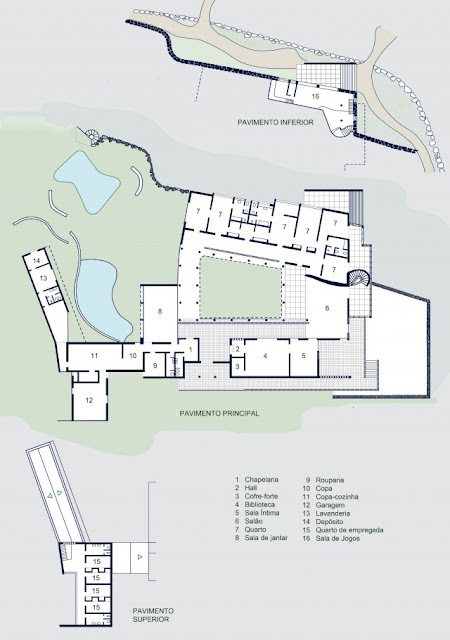 Fans of Gio Ponti's Villa Planchart will certainly appreciate Olavo Redig de Campos's 'Casa Moreira Salles' house which exhibits some of these Italian mid-century modern architectural influences. Tropical Landscape Design by Roberto Burle Marx. 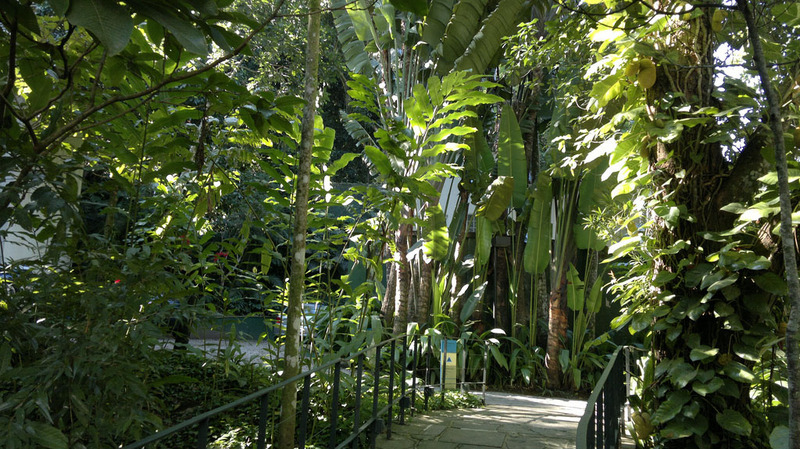 Walkway leading up to the freeform swimming pool designed by Roberto Burle Marx. 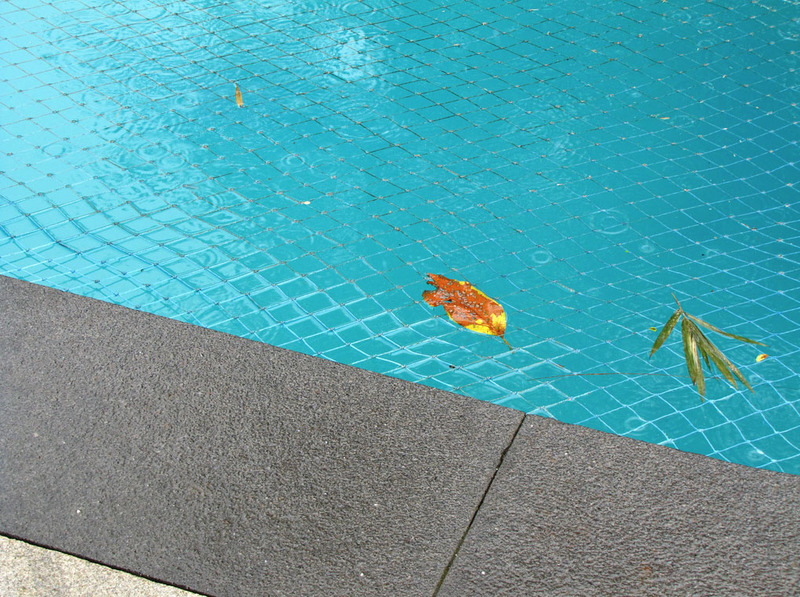 Freeform swimming pool designed by Roberto Burle Marx. Detail of freeform swimming pool designed by Roberto Burle Marx. 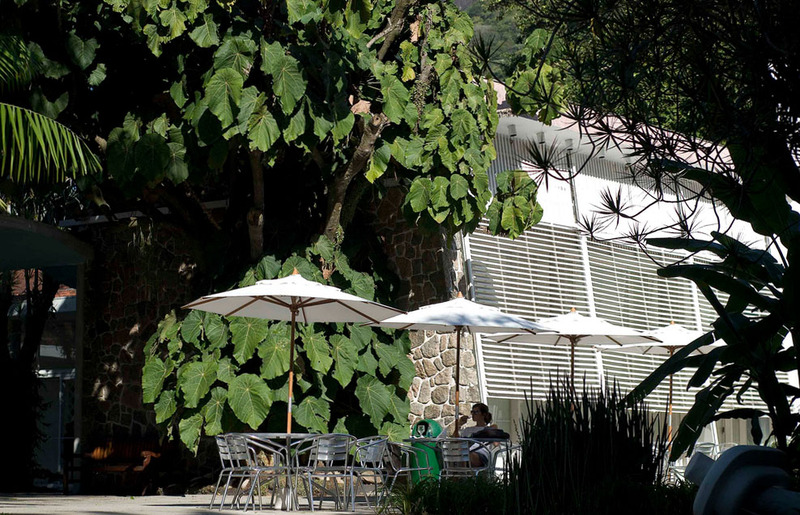 Lush tropical landscaping blends in with the modernist architecture. 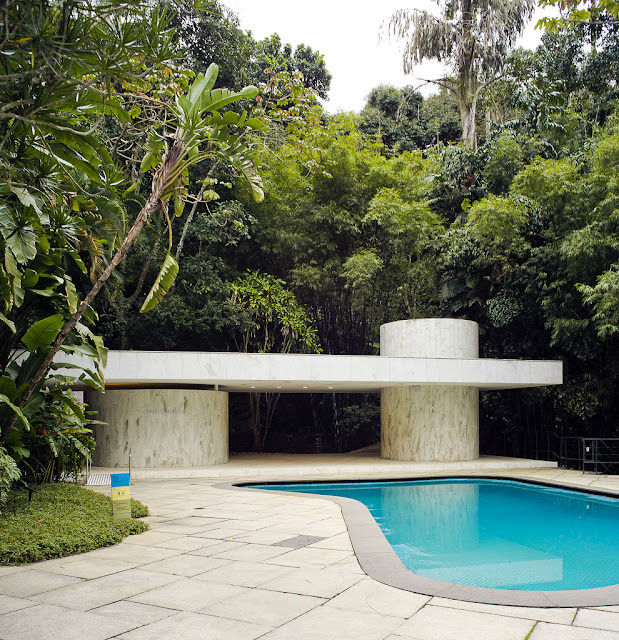 Olavo Redig de Campos 'Casa Moreira Salles' with Swimming Pool by Roberto Burle Marx. 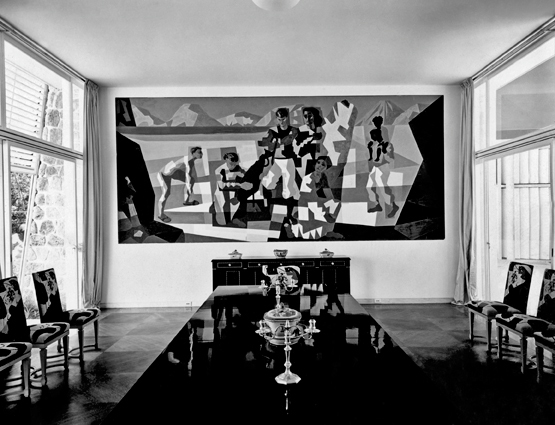 Olavo Redig de Campos 'Casa Moreira Salles'. Roberto Burle Marx Tile Design at the Olavo Redig de Campos 'Casa Moreira Salles'. 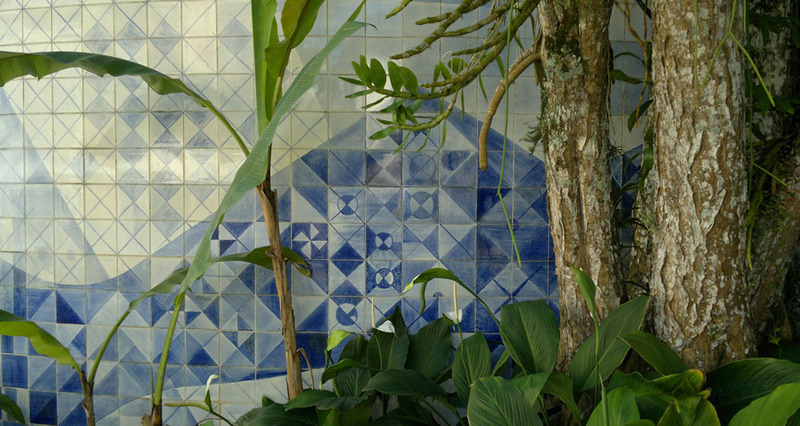 Detail of Roberto Burle Marx Tile Design at the Olavo Redig de Campos 'Casa Moreira Salles'. 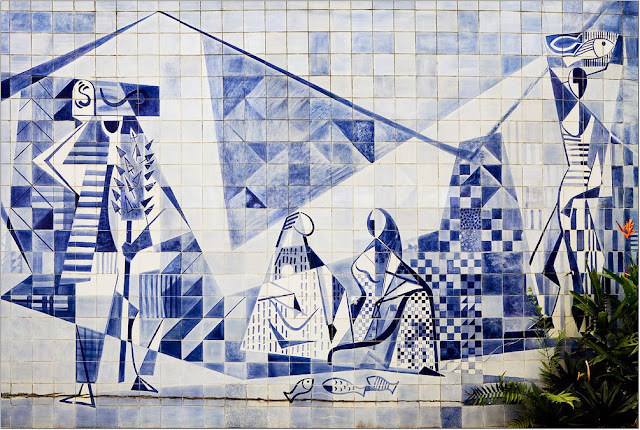 Detail of Roberto Burle Marx Mural with Fountains 'Casa Moreira Salles'. 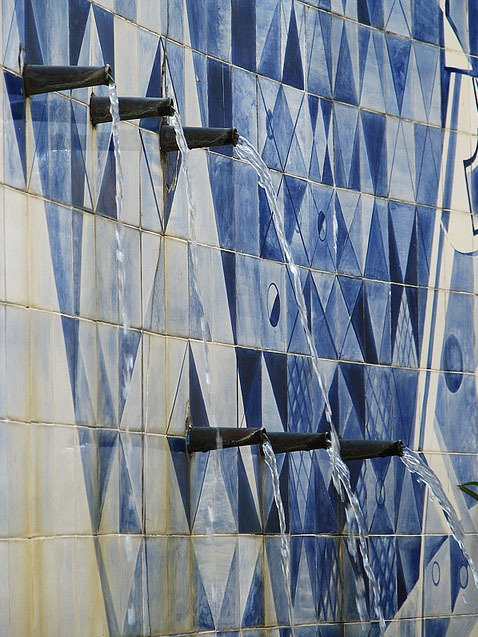 Freeform pool of Olavo Redig de Campos 'Casa Moreira Salles'. Interior Courtyard of the Olavo Redig de Campos 'Casa Moreira Salles'. 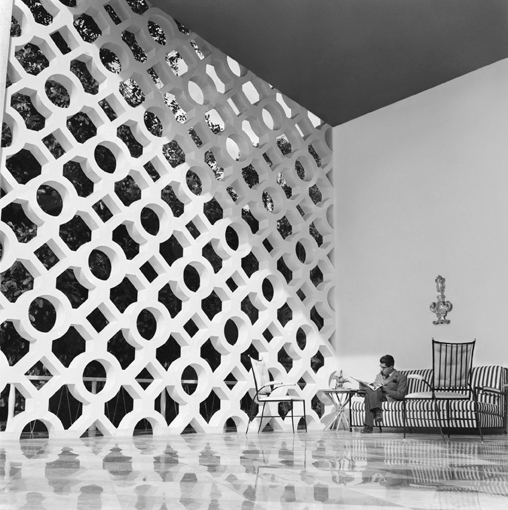 Huge modernist screen block wall at the Interior Courtyard 'Casa Moreira Salles'. 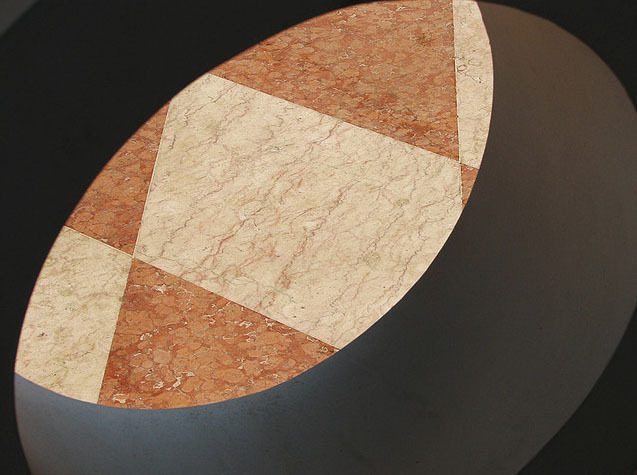 Floor detail of the 'Casa Moreira Salles'. 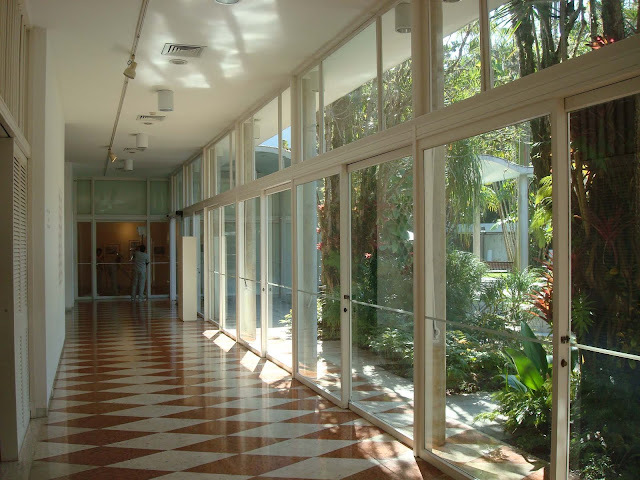 Hallways of Olavo Redig de Campos 'Casa Moreira Salles'. Entrance of the Olavo Redig de Campos 'Casa Moreira Salles'. Granada may have its Alhambra but Rio has its equally iconic 'Casa Moreira Salles'. 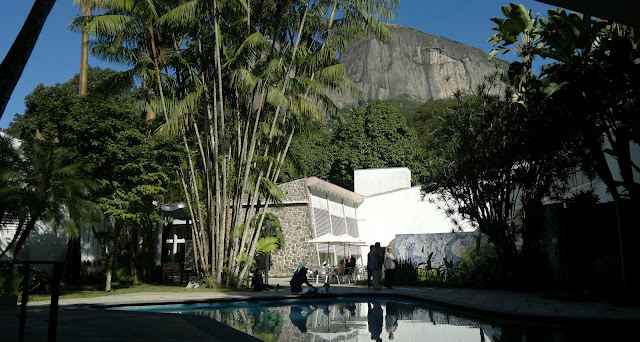 The fabulous modern 'Casa Moreira Salles' house was designed by Brazilian architect Olavo Redig de Campos for Walther Moreira Salles and his family in Rio de Janeiro. 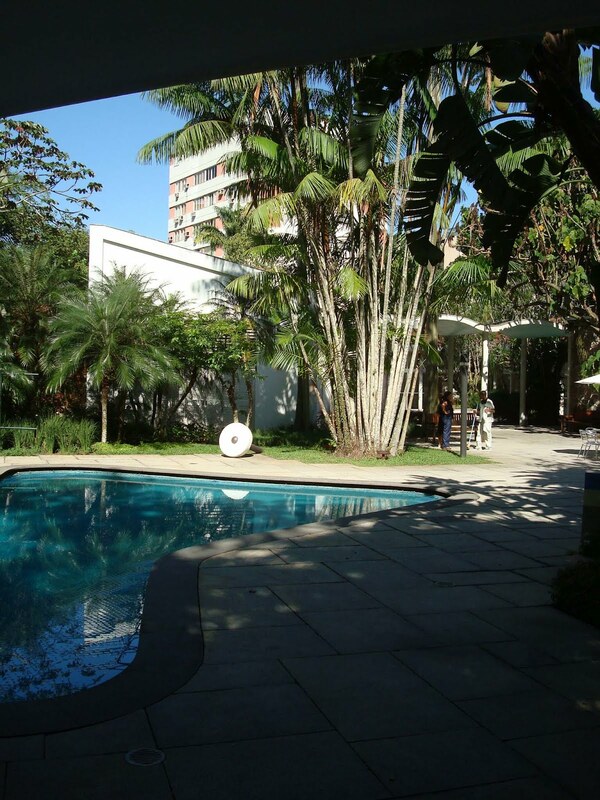 Walter Moreira Salles made his money as a highly successful Brazilian banker. He is considered by many as one of the premier founders of the modern Brazilian financial and banking industry. Although he is best known for activities related to finance and banking, Walther Moreira Salles was also deeply involved in Brazilian politics. He served as Brazil's ambassador to the United States in the 1950s and spend his later years on Philanthrophy. Known for his discretion, amicable character and charm, the ambassador had many famous friends, including the rock musician Mick Jagger, President Fernando Henrique Cardoso and the actress Greta Garbo. Walther Moreira Salles gave Olavo Redig de Campos free-reign over the design of the house and supplied the architect with an almost unlimited budget. 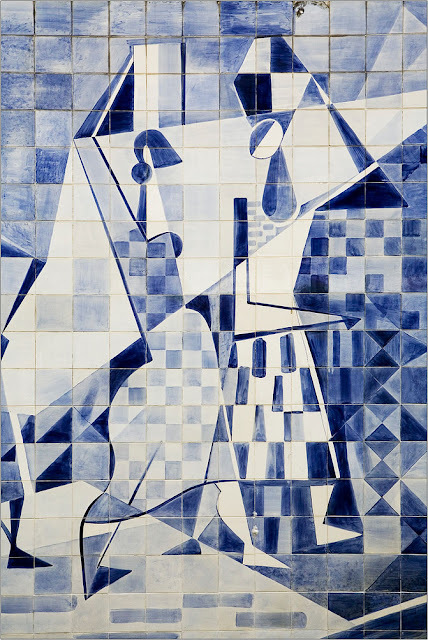 Olavo Redig de Campos was told to create a masterpiece with the best materials money could buy, whatever it took. Construction started in 1948 and the house was completed in 1951. The house was constructed on top of the Gávea mountain surrounded by lush vegetation such as Strelitzia Reginae, Archontophoenix Cunninghamiana Palm Trees and Monstera Deliciosa (a must have indoor plant for any modernist by the way). Olavo Redig de Campos created an authentic European-styled mid-century modern villa in a monumental, austere and elegant style. 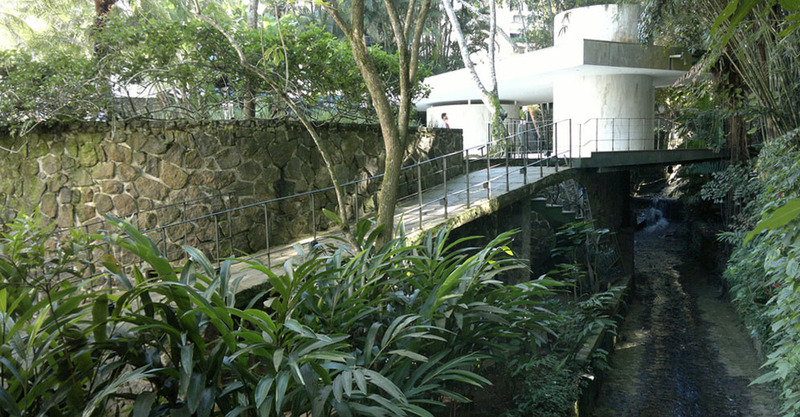 The 'Case Moreira Salles' features beautiful free-flowing modernist gardens with lush tropical vegetation. 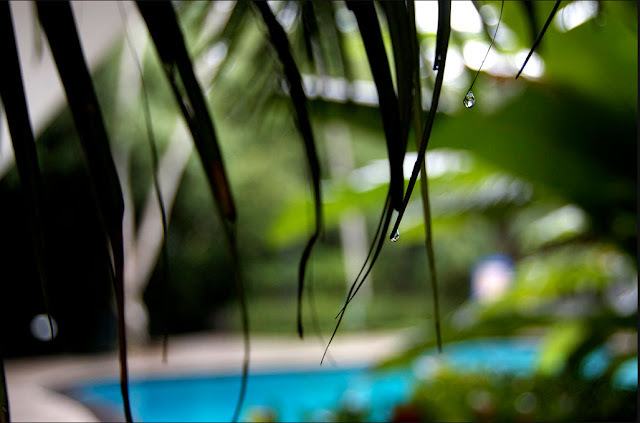 The gardens, swimming pool, landscape design and tiles were all designed by our favorite landscape designer; Brazilian genius Roberto Burle Marx (who also created the famous Copacabana wave-patterned beach walk). The 'Casa Moreira Salles' was designed for the Moreira Salles family who requested a large residential house in which they could entertain their guests in style (they held frequent and large parties for the international jet set and dignitaries). The formation of the Italian-trained architect and his flamboyant style deliberately integrate traditional elements of classic European 50's style free-flowing Brazilian landscape design in a wonderful composition. Organized around a central courtyard, the house features spacious indoor-and outdoor spaces for entertaining. The custom ceramic wall mural with tiles was also created by Roberto Burle Marx. 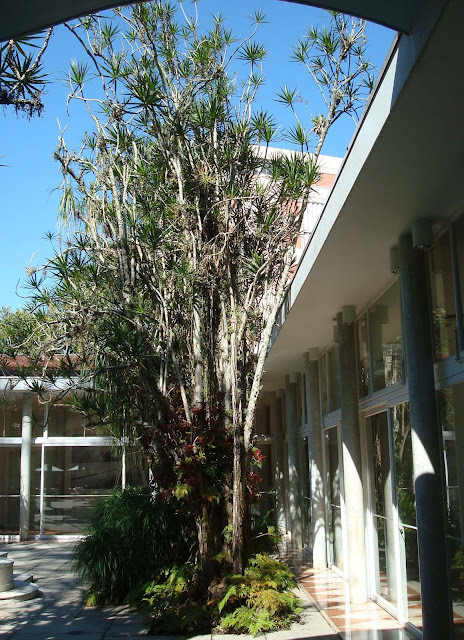 A bronze sculpture, designed by Mary Martin, graces the interior courtyard. 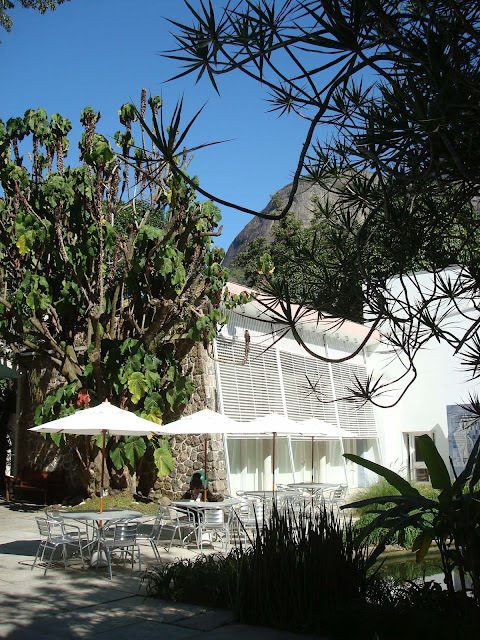 The house is currently occupied by the Instituto Moreira Salles, a museum-like establishment that promotes the arts. 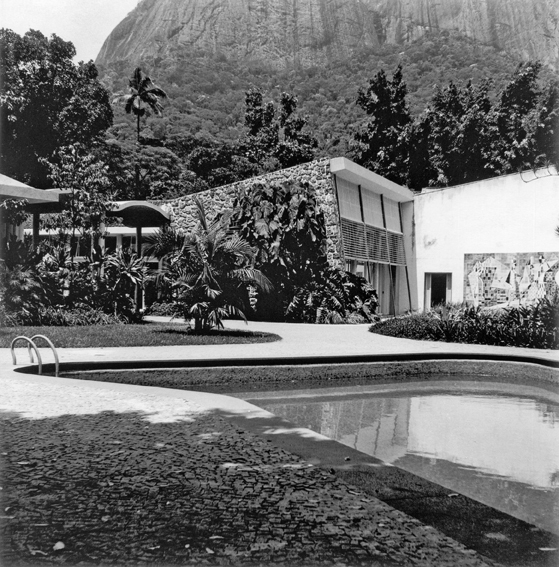 The Moreira Salles family has always had a strong commitment to the arts, and part of their important collection of historical photographs (many depicting 19th- and 20th-century Rio de Janeiro) can be viewed at the Instituto Moreira Salles, along with temporary exhibitions. After you visit the house, relax for a moment and have a drink at Café Galeria, to see the modernist gardens 'Jardins Burle Marx' at Rua Marques São Vicente, 476. 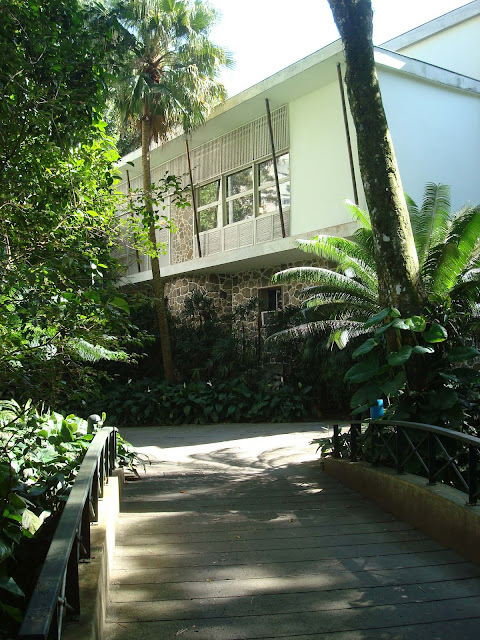 When 'Casa Moreira Salles' was constructed in 1951 it was surrounded by the mostly untouched Tijuca rainforest. 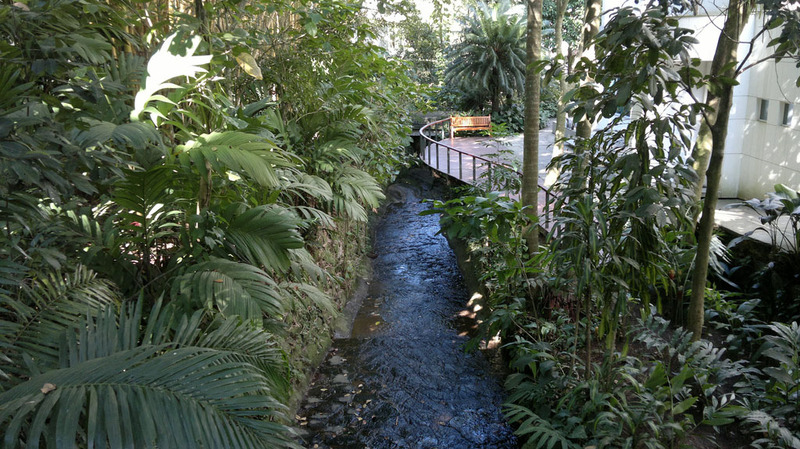 Due to the expansion of Rio de Janeiro from the 1950s and onwards, the Tijuca rainforest that surrounded the house is now a mostly urbanized zone with large apartment buildings, houses and...for contrast...the large Favela Vila Parque da Cidade in close proximity. Image credits for this article: Nova68.com, Emiliano Homrich, Christophe Trinquier, Clement Guillaume, Rtietz, Marcel Gautherot, Stardust.com, Acervo IMS, Cavern Club, Raphael Salgado.